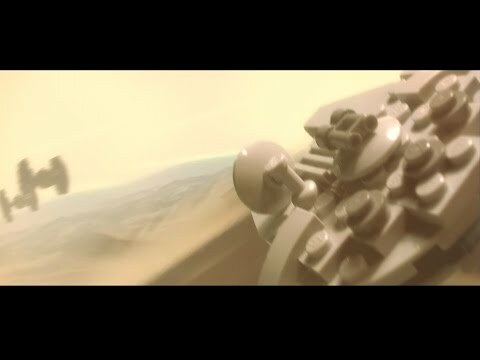 After a non-stop 22 hours of work, I proudly present my version of the full first Star Wars The Force Awakens teaser trailer in glorious LEGO. 4 hours to shoot more than 1500 frames of animation at 29.97 FPS. 3 hours to build the landscapes and ships/vehicles. Topped off with 15 hours to add the finishing touches that will blow your mind away! That's amazing endurance and creativity, and precise mimicry of the film. Well done @Bioniclemastermind‌!